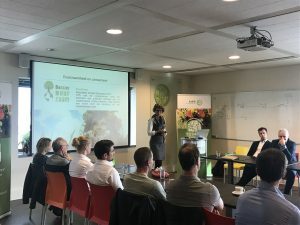 In October 2017, I was invited by the MPS-group to lead a workshop for and with leading growers of flowers and flowering plants from the Netherlands. This was part of event in preparation for an international horticulture trade fair. The focus of the workshop was on how to best communicate on sustainability in the horticulture sector. 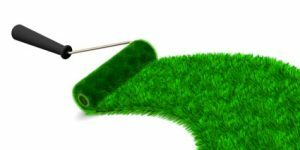 Here’s what I had to say about conviction, focus, collaboration and… greenwashing. As mentioned in an earlier blog, the trouble with sustainability is the lack of a common definition. It may include topics like environmental protection, labor conditions, community engagement, economic impacts and/or governance. There are so many terms floating around, like CSR, responsible business conduct, future-proof, thriveability… Whatever term you prefer, it needs to be relevant to your core business and your key stakeholders. Most likely, this will be a function of the industry, the cultural/national context and the conviction and focus of senior leadership. So before communicating your sustainability efforts externally, first consider what sustainability means to you. For which parts of sustainability do you care most deeply? Why did you get started with organic flowers? What made you integrate sustainability into your business model? Sustainability is multi-faceted, so your sustainability strategy probably is as well. But while all those facets may be relevant and understood by people within the industry, they won’t all be equally relevant for different stakeholders. So when communicating your sustainability strategy, think first and foremost from the perspective of your audience. For different target audiences, focus your sustainability story in different ways. While keeping the overall story the same, differentiate the key topics to highlight for different audiences. Not everyone knows as much about sustainability issues in horticulture – or whatever sector you’re in – as you do. 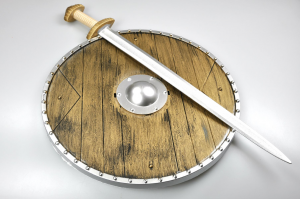 Unilever uses a very powerful analogy to further strengthen its sustainability communications: the sword and the shield. The sword is a strong message that you pro-actively want to share with your target audience. And which is very relevant for that target audience. The shield contains other topics which you are working on in your sustainability strategy, but which are less relevant to your audience, or less easy to talk about as an individual brand or company. For example, for Lipton’s sustainability strategy includes both social and environmental elements. In consumer communication, the social elements are emphasized like a sword. Most consumers realize that picking tea leaves is hard work in tough locations, so this context helps Lipton tell its story about the programs it has in place to make life easier for tea pluckers. The improvements Lipton is making to reduce pesticides is more like a shield. Something to work on very actively, but as most consumers are unaware that nearly all tea in the world contains pesticides, communicating about this as an individual brand is more challenging. So while this may be a great topic for a sustainability website or report, I’d not recommend putting that same story on the pack. Some topics are difficult to raise, even if you feel it is high time the world knew about the issues and your solutions. This is where sector-wide collaboration and communications may be needed. Just like for tea, for the horticulture sector, pesticides might be such a topic. As an individual grower of flowers, this is a topic you might be able to raise with expert buyers in retail. But with consumers, this is not so easy. If you try to mention this on your packaging, consumers might just link your name to pesticides in general, rather than the reduction you’ve achieved. To raise awareness of the issues around pesticides, it would be better to collaborate. With industry bodies and certification providers, but potentially also with NGOs and consumer organizations. Good communications about your sustainability efforts and performance can build trust in your organization and its products. But even if you’re selling plants and flowers, and you’d like to make the world a greener place, what you’re communicating has to be true. Only balanced communications – sharing both successes and challenges – builds trust. If what you’re sharing is not true, then it’s merely greenwashing. That word might have a nicer connotation for the horticulture sector than for others, but it will simply erode trust. Written by Marjolein Baghuis (@mbaghuis) for the MPS website, Change in Context and The Terrace blogs. To read about interesting people, book reviews and other posts about change, communications and sustainability, please subscribe.